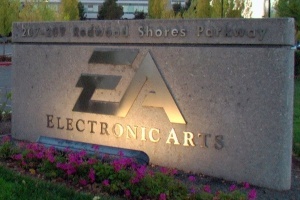 EA: 4-5 year game console cycle "gone forever"
Electronic Arts conducted their Q1 2012 earnings call yesterday, although it wasn’t the financial figures that garnered the most attention during the briefing. EA CEO John Riccitiello gave a brief overview of the industry as a whole and proclaimed that the gaming and console marketplaces have been changed forever. Riccitiello pointed out that digital content has revolutionized the gaming industry. The top paid applications in the Andorid Marketplace and Apple’s App Store are all games. The fastest-growing revenue streams aren’t just the games themselves anymore but the digital content associated with them. These are all statements that we would agree with, but it's his comments about console gaming and emerging markets that is a bit puzzling. "Gone forever is the 4- to 5-year console cadence that gave developers ample time to invest and retool for the next big wave," Riccitiello said. "Consider that just 18 months ago, there was no iPad, Google was just experimenting with Android and most big games were limited to a single revenue opportunity at launch. Consider that each of the major consoles now has a controller that encourages users to get off the couch and get into the action." Depending upon your interpretation, some would argue that Riccitiello might have missed the mark with the above statement. Devices like smartphones and the iPad are creating new markets, not replacing existing consoles. And if anything, it would seem that digital content would extend the life of a console and help titles hold their relevance longer. A good example of this is the Call of Duty series which releases a multiplayer map pack every few months at roughly $15 a pop. The same can be said for motion devices like the Xbox Kinect, an add-on to the 360 which will extend the life of the console, not shorten it. Without new digital content or innovative accessories, gamers might have demanded something new long ago.